Today’s media centers are used for a variety of instructional purposes, it is no longer simply books on the shelves. 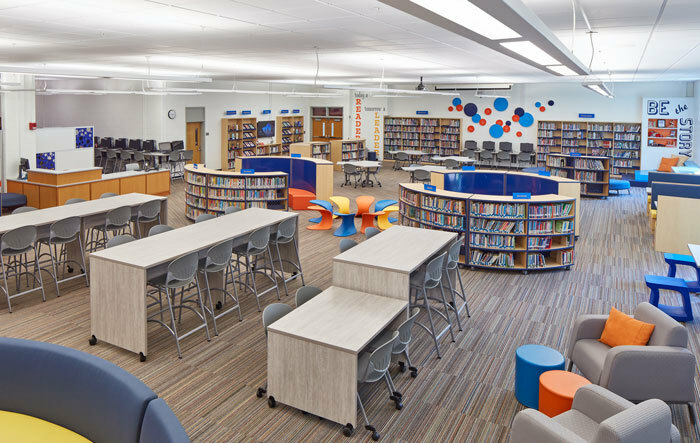 The necessity to configure interactive areas with today’s technology is important to all media specialists. We offer everything for the library including tables and seating, circulation desks, shelving, audio/video, and computer carrels…the basis for all media centers.